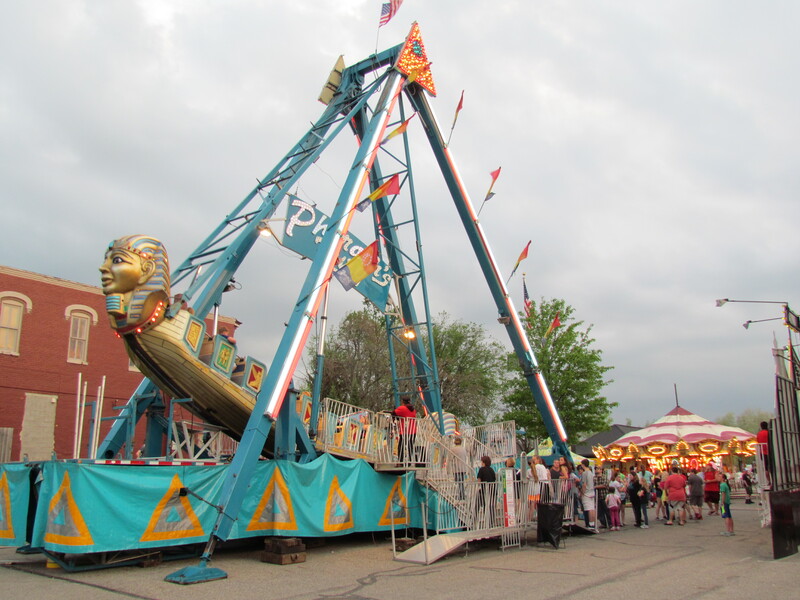 37th Annual Laingsburg Lions Club Springtime Festival! 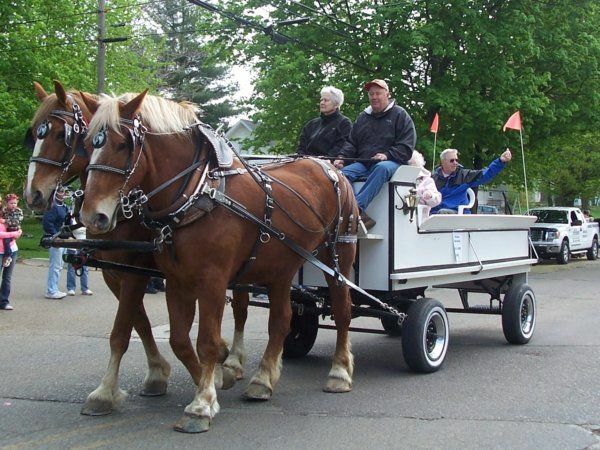 The Laingsburg Lions Club will hold our Laingsburg Lions Springtime Festival May 16 - 19th, 2019 in downtown Laingsburg, Mi. 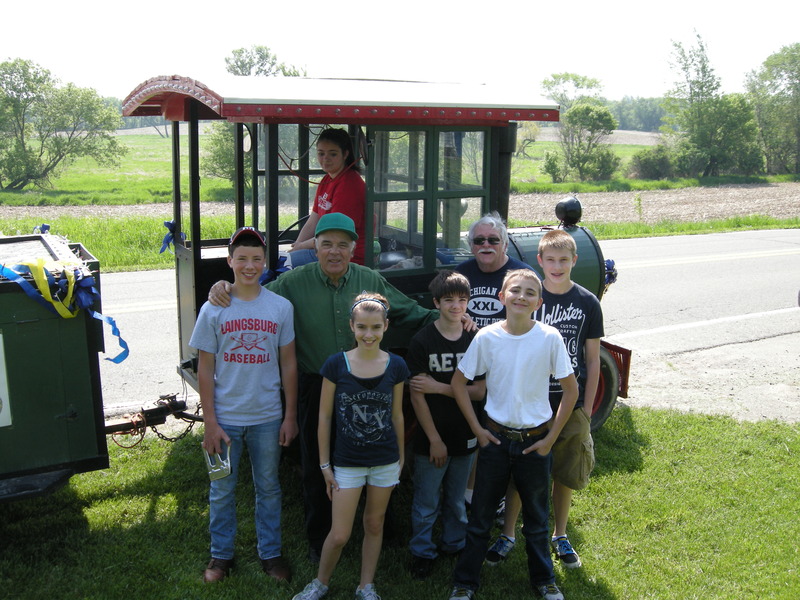 This years Festival pays tribute to Lion Larry L. Sparkes. This year would have been his 37th year as Festival Chairman. He will be Truly missed. 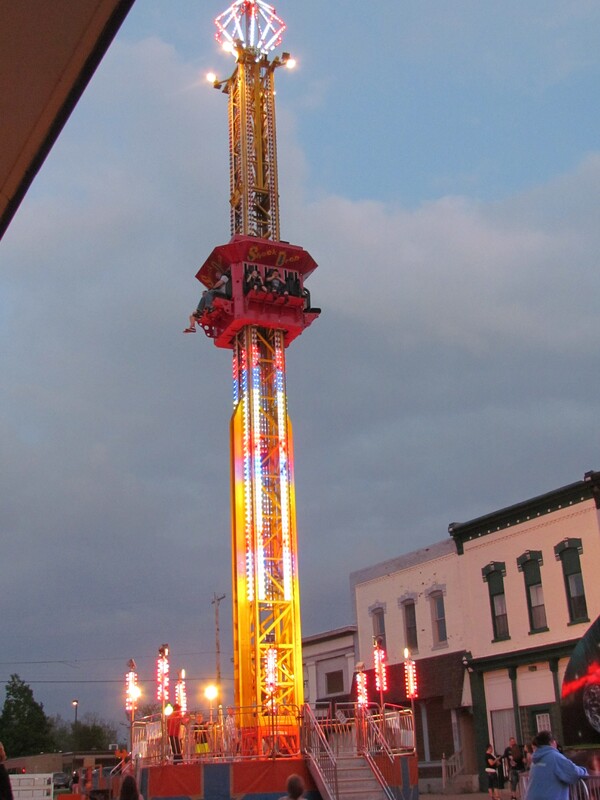 The Springtime Festivities begin Thursday night at 6:00PM with games, carnival rides, and lots of great food! 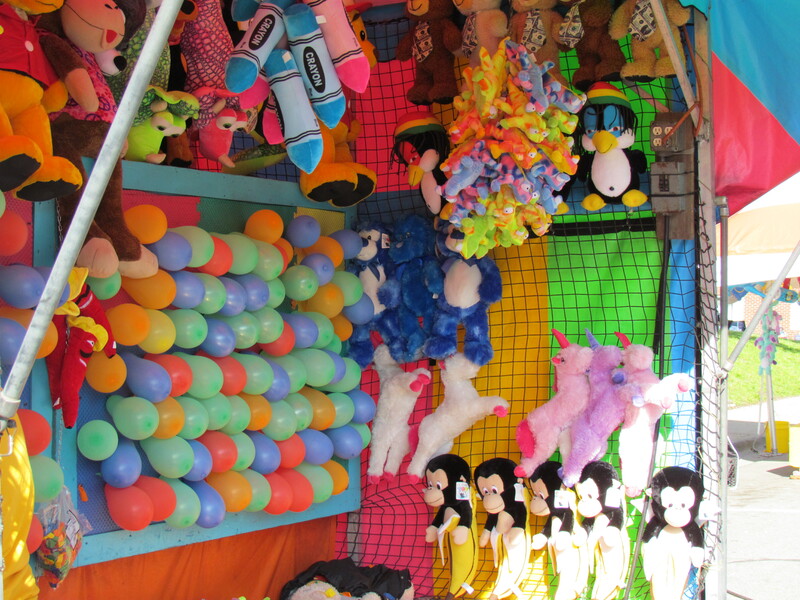 Lots of things to do for kids and adults alike. Friday nights festivities include Spirit Expressions Studio of Dance providing dance entertainment just prior to the introduction of the Sr. Citizen King and Queen at 6:45pm - 7:00pm. After the King and Queen are annouced they will provide additional dancing starting at 7:15pm. Ed Carpenter reports a large number of the Saturday morning Super Parade applications have been received. The parade starts promptly at 11:00am. The Bicycle Decorating Contest will be held again this year. There will be $100 in prizes this year. $50 for first place. $25 for both 2nd and 3rd place finishers. Judging will take place at 10:15am in the Baptist Church parking lot. 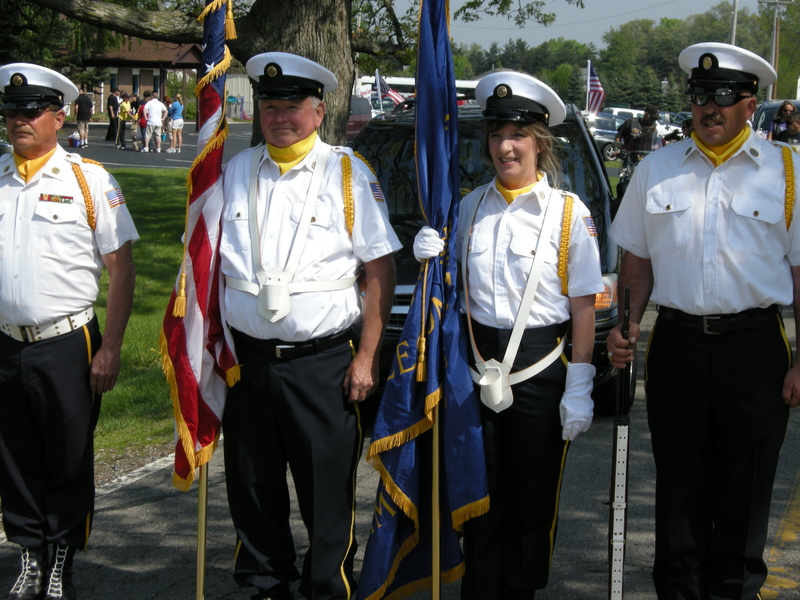 The parade will start forming along Woodbury Rd and Shiawassee St. If you were late in getting in your parade application and would like to participate, please see the parade headquarters table at the Baptist Church parking lot. Parade Marshalls will be annouced soon. Parade starts promptly at 11:00am rain or shine. 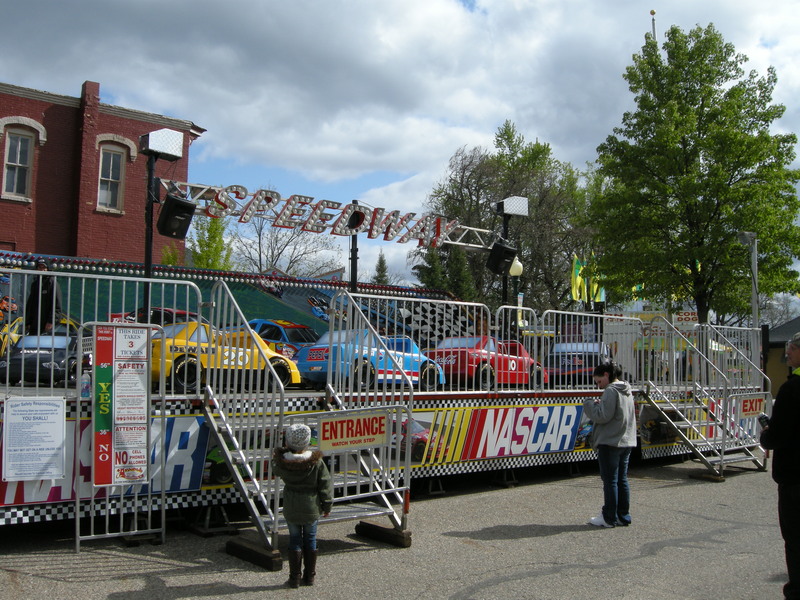 Arnolds Amusements will again provide the rides for the Midway. 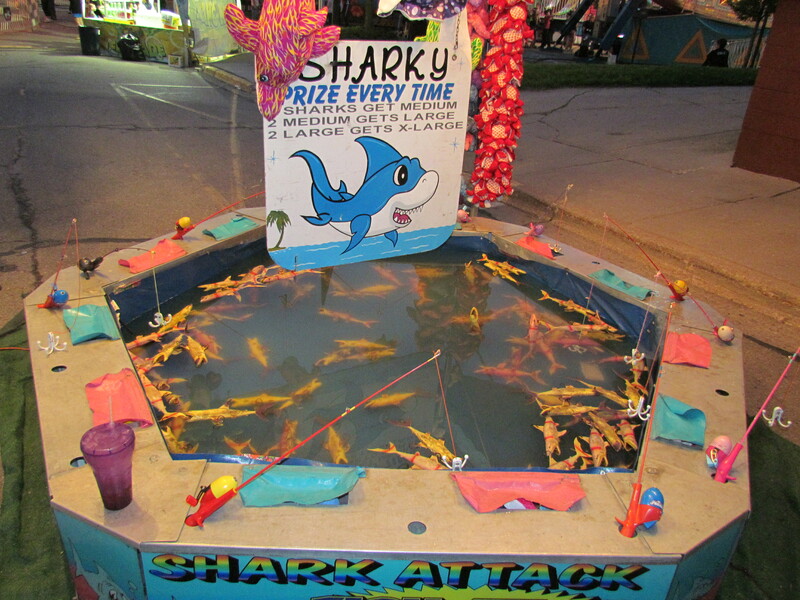 Also are the various game booths as well as the great food trailers. Especially the Elephant ears. 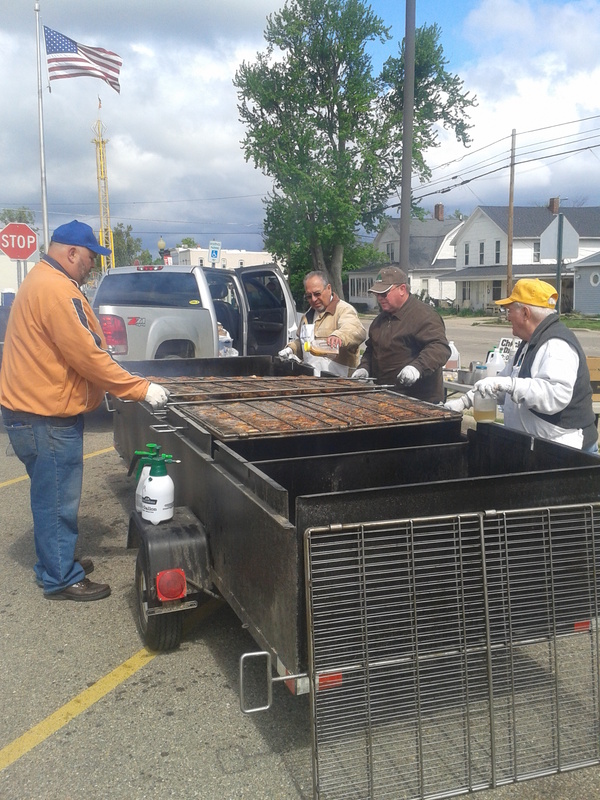 Laingsburg Lions will prepare, cook, and serve their famous Chicken Barbecue Dinner on Saturday and Sunday, 12:00 noon at the ECDC (Early Childhood Development Center / middle school. You will find a Euchre Tournament being held at the ECDC on Saturday night, starting at 5:00pm. 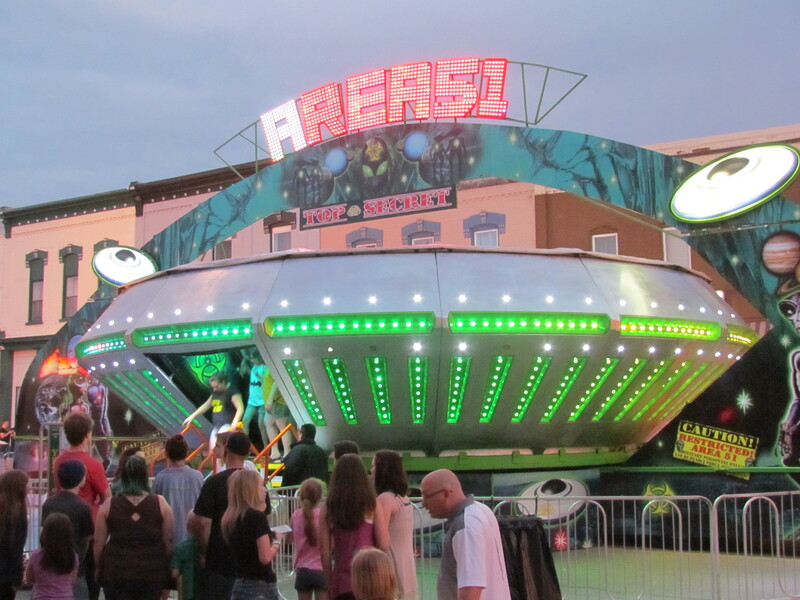 A $10 dollar entry fee with 100% payback will allow you to pass time while the kids/grandkids ride the rides. 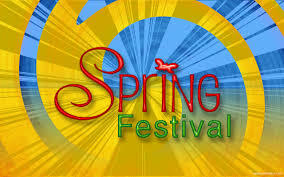 The Sunday evening raffle ticket drawing will be held at the conclusion of the festival. The 9 Raffle winners names will be drawn promptly at 6:00pm at the old Railroad Right-of-Way at the bottom of the hill and west of the post office. The 9 prizes are as follows: 1st, 2nd and 3rd will receive $500 each. 4th, 5th and 6th will receive $250 each. 7th, 8th, and 9th will receive $100 each. RAFFLE TICKETS -- can be purchased $5 each or 3 for $10. DRAWING to be held Sunday May 19, 2019 at 6:00PM at the old railroad Right-of_Way located at the bottom of the hill. You need not be present to win. You may purchase your raffle tickets from any Laingsburg Lion member from now up until 15 minutes before the drawing. Lion members will be walking the midway and manning the ticket booth Friday, Saturday and Sunday. 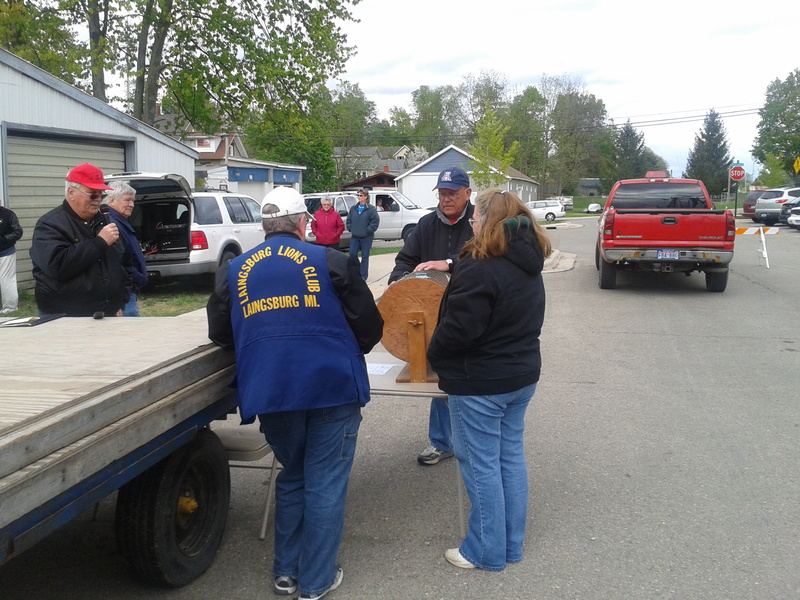 The Laingsburg Lions Club raises approximately $10K annually for the various programs / projects that are used to support the community. See page 5 of the brochure pages just below to see where some of last years donations went to. The festival is one of our Lion Clubs largest fundraisers, please come down and help support our great community. 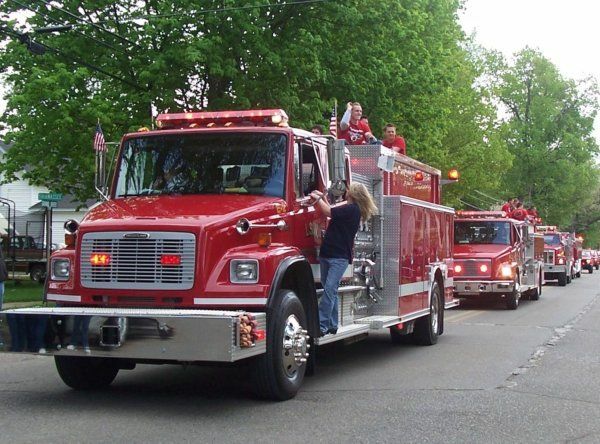 The LSW Fire and Rescue vehicles will start the parade, followed by the VFW color guard, and dignitarties. Parade entrants will then follow. There have been as many as 80 units in past parades. 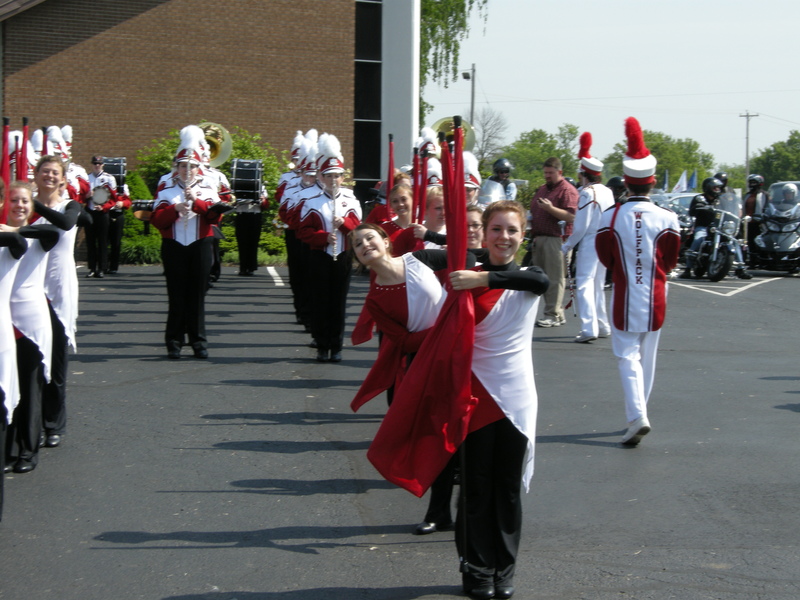 With over 60 members, the Laingsburg Marching Band will perform their award winning March in May. 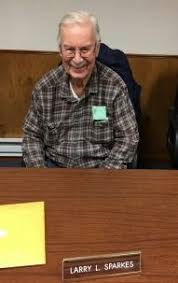 This years parade marshall will be annouced soon. Ed and Diane Carpenter were the 2018 Springtime Festival King and Queen. 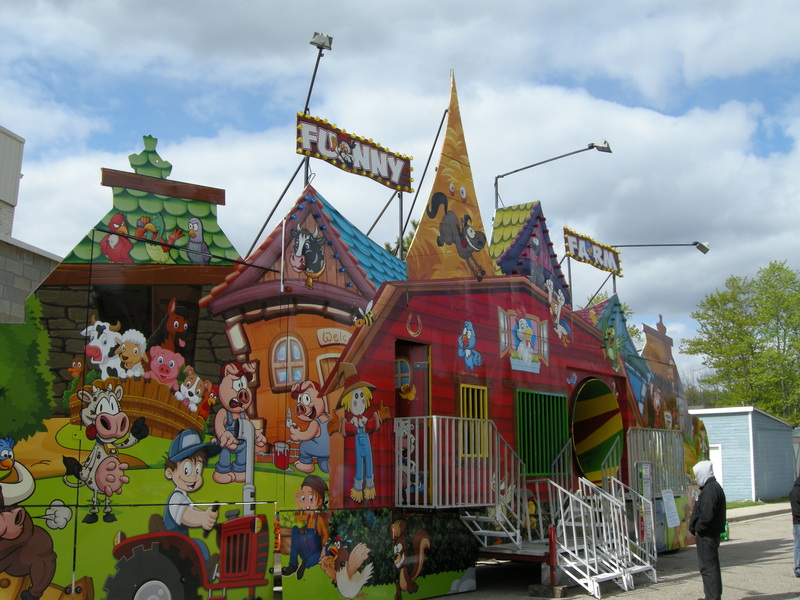 Arnolds Amusements, the finest midway for family entertainment, specializes in providing full scale carnival midways for fairs, festivals, and events throughout the state of Michigan during the spring and summer months! 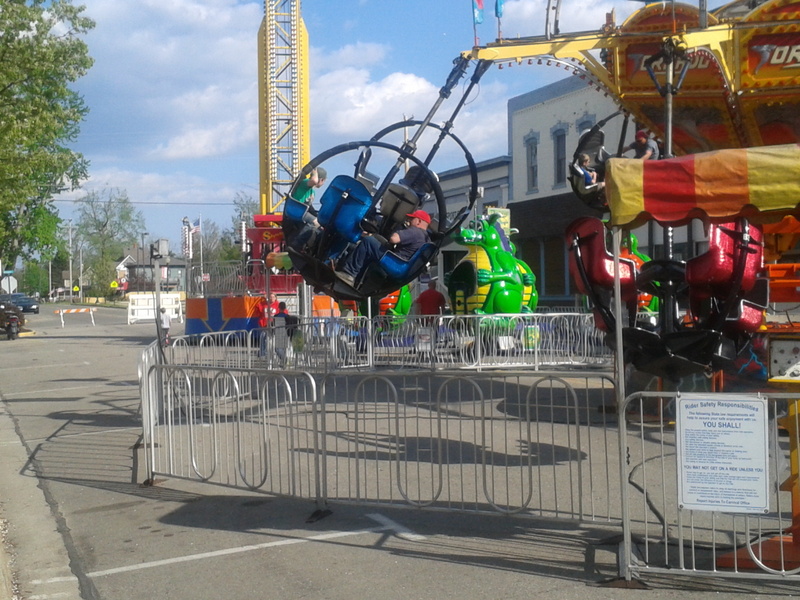 Kids love the carnival rides! 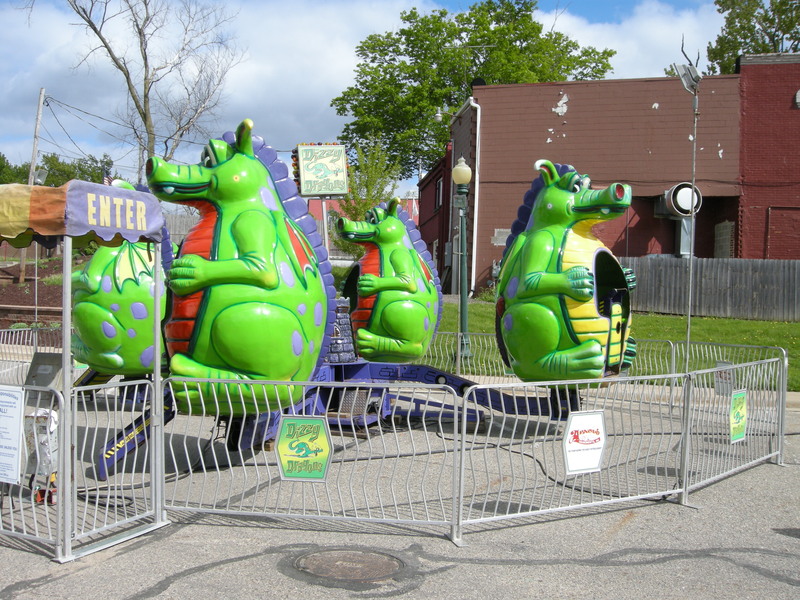 From the Dragons, to the slide, to the Funny Farm, car racing and more. It's all GREAT FUN!! For the more brave at heart! 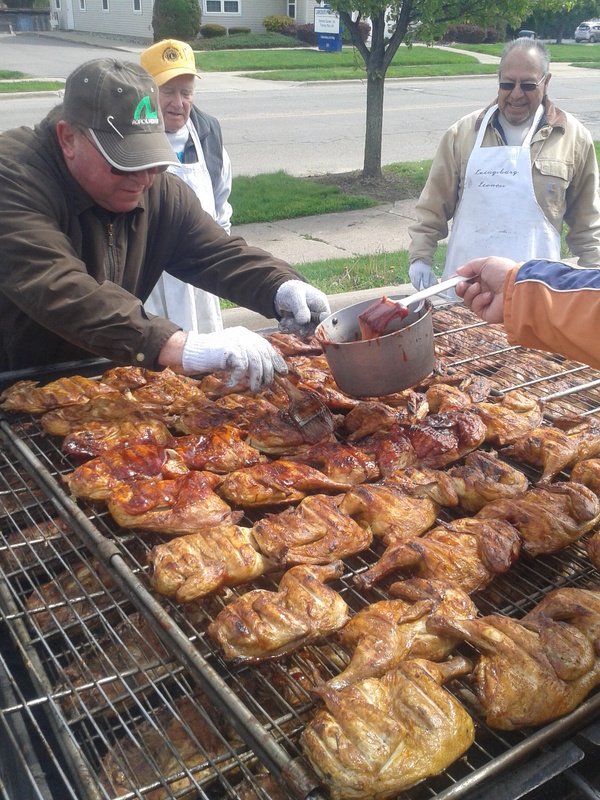 The best barbecue chicken this side of Lake Michigan. Lions Ed Arthur, Keith Townsend, Jessie Martinez and Craig Warren showing off their culinary expertise for the feast.